With the Atlantic on one side and the Gulf of Mexico on the other side, Florida has hundreds of miles of beaches. This is the most southeastern state in the USA. The state is well-known for its nightlife in cities like Miami. It is also well-known for the art scene, cultural attractions, and the theme parks, notably Walt Disney World. Florida is the third most populous state in the US, and it is also the flattest state, with the highest peak being a mere 345 feet! Since 1968 this has been the primary launch centre for NASA, and the human space flight project. It is on the east coast of Florida, adjacent to Cape Canaveral Air Force Station. There are over 700 units in the entire complex, and you can take a guided tour of some of them. You can also walk around yourself, although be aware that there are some places where you are not allowed to go. Look out for the Operations and Checkout Building where the crew lives before a take-off. The visitor’s centre is well stocked and has a café where you can get lunch as you may want to spend some time here. This is an area rather than one single place. The keys are a group of islands off the southern coast of Florida. The keys are a popular destination for snorkeling, scuba diving, fishing, and boating. If you enjoy night-life, then head the southernmost city where you will find Duval Street. This area is well-known for its many bars. It is also the home of the Ernest Hemmingway Museum. You will find this in the city of Miami Beach. This was the first place to be developed, back in 1910. The beach is well-known for the glamourous scene and vibrant night spots. Restaurants abound, as do fashion shops. The area is free of vehicles so great for walking around and people watching. Plan to stay a day here, as there is plenty to do and see, and dozens of places where you can buy a snack. This is the world’s largest freshwater pool, and it is found in Coral Gables. It was built in 1924 and modelled after a venetian grotto. The pool is built out of the remains of a coral rock quarry and is refilled every day. The water is kept clean due to the filtering system, which is natural and unique to this area. The pool is great for swimming, with many interesting small caves to see under the water. It is a great place to spend a full day, take a picnic basket and enjoy the area. This is also called Walt Disney World Resort and is a huge entertainment complex in Bay Lake. On the property you will find no less than four theme parks, two water parks, and staggering twenty-seven hotels. Additionally, there are seven golf courses, a camp site, and other entertainment venues. Look out for the outdoor shopping centre called Disney Springs. This is the most visited vacation centre in the world and is great for families. You must book in advance to avoid disappointment. You will find this in the city of Coral Gables. Not only is this a garden, it is also a museum, laboratory, and conservation research facility. The gardens are mostly staffed by volunteers. Look out for the Orchid collection which is extensive, as well as the rare tropical plants such as palms, cycads, and vines. Allow yourself at least a half day here, although you may stay longer as there is plenty to see. You will find this in Key Biscayne. This is a cemetery with a difference as all the cremated remains are cast into the concrete. The area is guarded by carved lions at the entry gate, and it lies just 40 feet below the surface. The underwater cemetery also acts as an artificial reef. You must be a licensed diver to go and look around or visit a loved one who is there. One point of interest is that Bert Kilbride, who was listed in the Guinness Book of Records as the oldest living scuba diver, is interred there. You will find him in a place of honour, right at the top of one of the entry columns. This used to be called the Naval Aviation Museum, and you will find it at the Naval Air Station in Pensacola. This is the world’s largest Naval Aviation Museum and is also one of the most visited museums in the state. There are over 150 restored aircraft from the navy, marine corps, and coast guard. There is an indoor section as well as an outdoor area, so be prepared to walk a lot. There is a café where you can eat, so plan to spend the day exploring the museum. This is also a museum, and it is located in Key West, close to the southern part of the island. You can take a guided tour or walk around by yourself. Look for the Murano glass chandelier which is in the dining room. Upstairs you will find books owned by Hemingway when he lived there. Keep an eye out for the one titled Red Pete the Ruthless, which was given to him by Sister Ida, a nun at the local convent. The garage was constructed for housing the Buick. A point to note here is that the house was used to film the 16th James Bond movie ‘License to Kill’. This amusement park is found in Orlando. Kids and adults will be able to interact with animals such as bottlenose dolphins and many others. Be sure to check when feeding times are so you can help to feed some creatures. Allow yourself a half day at least to see this. This is a major 11-mile strip which will take you through Orlando. You may also hear it being called I-Drive. You will find a myriad of interesting things to see and do along this strip, notably SeaWorld Orlando, Fun Spot America, and the Eye Ferris Wheel, to name a few. There are also museums and themed restaurants as well as mini golf courses and outlet malls. Allow yourself at least a full day here. If possible, stay a night and enjoy an evening there. You must book accommodation in advance. You will find this interesting attraction in the town of Weeki Wachee. Be prepared for crowds as this is very popular. Aspiring mermaids come from all over the world to join in shows for the benefit of visitors. You will see synchronised song and dancing in the theatre which pumps over 170 million gallon of water each day. The water is at a constant 74 degrees and the water moves no more than 5 miles an hour, which is apparently the perfect speed for a mermaid! Make sure you check dates and times for performances. You will find this themed area at the Universal Orlando Resort. If you are a fan of Harry Potter, then you will enjoy the ride through his world. You will also be able to see the Hogwarts School of Witchcraft and Wizardry. Look for other attractions such as the Dragon Challenge, and the pair of inverted roller coasters. Take a ride on the full-scale Hogwarts Express and don’t forget to visit the gift shop! When Ed was jilted the day before his wedding, he took to building this amazing tribute to lost love. You will find it in Homestead. It was originally called Rock Gate Park and is made of blocks of fossilized coral over 25 feet tall and weighing 30 tons each. That means that the stones he used weigh more than those used in Stonehenge! Look out for the sundial, the stone rocking chair, and the 500-pound heart shaped stone table. Ed worked mostly at night on his castle and the village was left to speculate as to what it would be. Enjoy a day wondering how a man who was 5-feet tall and weighed 100 pounds himself could have done this! Best to hire a car and drive around here, where you will come across coastal mangroves, marshes, and pinelands. You will find this area on the southern tip of the state. Look out for the abundant wildlife and take care as they do cross the roads frequently. Of special interest to look for are the endangered leatherback turtle, the West Indian manatee, and the Florida panther. You will find this in Orlando. It is a theme park and entertainment resort. There are two theme parks as well as a night entertainment complex, where you may often see performances by well-known artists. There is also a water park for both youngsters and adults. There are five hotels in the complex, so it is a good idea to stay for a few days. Be sure to book in advance. You will find this in Chiefland. This is where the Manatees come for the summer months. Swimming is permitted in the summer, but not in the winter months. Kayaking is very popular, and this is a great way to see the creatures. They will on occasion swim up to the kayak and allow you to touch them. You may be very lucky and spot a baby as the warm waters are a perfect nursery for little ones. You will find this on the Gulf of Mexico on the west coast of Florida. The beach is well-known for the white sand which stretches for 2.5 miles. There is a marina on the Intracoastal Waterway which is linked by a short bridge to an island called Sand Key. Along the promenade of clearwater Beach you will find jet ski rentals, parasailing, and boat tours. There are fishing charters which leave from there, as well as pirate ship cruises. There is plenty to do for the youngsters such as mini golf. Look out for dolphins which often appear. This theme park is in Orlando. It opened in 1999 and is focused on exploration, where visitors depart from the main port and head for the themed island. Adventure is the name of the game, and there is something for everyone, no matter their age. Plan on spending a full day at least here. There are hotels where you can stay for several days. This zoo is based in Melbourne and is home to over 650 animals from more than 165 species. The animals come from Africa, Asia, South America, Australia, and Florida. Try to get there for animal feeding, and then head out for a kayak tour or paddle the wetlands. There is a ‘behind-the-scene’ tour as well as a train ride. The most recent attraction is the Treetop Trek. You will find this gallery in Winter Park. It houses the most comprehensive collection of Louis Comfort Tiffany in the world. Additionally, you will find a huge collection of American Art pottery and collections dating back to late 19th century. Look out for parts of Tiffany’s 1893 chapel with the amazing leaded glass windows. Allow yourself most of the day here, there is plenty to see. This museum is found in St Petersburg and is dedicated to the works of the artist Salvador Dali. Outside Europe, this is the largest collection of his works. Make sure you stop at the museum shop ion the way out where you will find many interesting things such as books, clothing, perfumes, and art. Allow yourself at least a half day here. You will find this amazing place in the heart of Sarasota. This is the only garden in the world which is dedicated to the study of epiphytes (orchids and bromeliads). The research is ongoing here with tropical plants attracting attention from visitors. You will find this is well-visited by both international scholars and enthusiasts alike. The garden is open every day apart from Christmas Day. You will find this attraction in Williston. It is a well-known scuba diving training facility, although it is very popular with all divers. The temperature is a steady 72 degrees all year round, which allows comfortable diving conditions. The name comes from the steam which rises from the cave’s chimney on the cold winter mornings. If you plan on diving there, make sure that you have all your paperwork up to date and with you. You will find these gardens in Tampa. The gardens are home to over 12,000 animals from 300 species. Additionally, you will find rides and rollercoasters here, and an entertainment complex where you can see shows at different times. There are safari tours that you can join to see how animals live in their natural state, with one of the most popular day events being for kids to be a zoo keeper for a day. You will definitely want to spend a full day here and if possible even visit for a second day. You will find this race track in Daytona Beach. It was opened in 1959 and is the home of the Daytona 500 race. It also plays host to the AMA Superbike race and Motocross, to mention a few. The banked design allows all visitors to see the track from anywhere they sit. There is a grandstand which holds 101,000 seats, and there are plenty of places to eat and get refreshments, so you can watch as many races as you like. This sanctuary is found in Chipley and is a home for wolves. Predominantly you will see Grey Wolves here, although there are other small animals to see such as Arctic Foxes, red deer, raccoons, and skunks. Visitors are allowed to interact with these animals. You will need to take the guided tour which lasts 2 ½ hours. Be aware that there are very strict rules about clothing, with only long pants being allowed, and closed toe-shoes. Only disposable cameras are permitted in the wolves’ pen. There is a café as well as a gift shop, so your visit will take about a half day. Once you are in this amazing complex, you will think that you never need to leave again, as there is so much going on, and plenty to see and do. This is the home of American Circus Owner, developer and art collector John Ringling, and his wife Mable, and it is in Sarasota. Exhibitions abound, as do special events, which are held frequently. There are shops and dining places, and the most beautiful gardens to walk around. You must book in advance to enter, as well as for any events you wish to attend. You will find this at the Kennedy Space Centre, Titusville. You cannot miss it because of the sheer size! The building is so big that it has its own weather system inside! This building is the 4th largest in the world. The doors – which are the largest in the world – are 456 feet high and take 45 minutes to open or close. You cannot go inside the building but there are tours which will get you very close up to it. These are included in the entrance fee for the Space Centre. Allow yourself a full day to look around the Space Centre and then take the bus tour out to the buildings. This is found in Clermont. It is a wax museum which was made in the 1960’s and shows the US presidents and the White House in miniature. It used to be called the ‘House of Presidents’, and you can see many wax models there. Look for the miniature of the White House with its amazing detail. This will take a half a day to see, and close by is the Citrus Tower which you can visit on the same day. You will find this in Winter Haven. Understandably it is very popular with kids of all ages. There are 145 acres of lego park with over 50 rides, shows and attractions. There are also restaurants and gift shops, as well as a botanical garden. If you plan to stay for a few days, there are bungalows which look like giant lego buildings for you to stay in. You must book these in advance as they are very popular. A trip to Florida would not be complete without trying some fresh crabs. JB’s Fish Camp at New Smyrna Beach is the place you want to head for! The crabs are kept alive until you select your dinner, which means that they are as fresh as possible when they arrive at your table. There is nothing fancy about the crab shack – tablecloths are made of brown paper – but the taste of fresh crab will send you back for more! You will find this memorial in Miami, it is dedicated to the 110 victims of ValuJet Flight 592 which crashed in the Everglades on May 11th, 1996. It is a very sobering memorial to the people who lost their lives. The cause was determined to be oxygen generators being incorrectly carried in the cargo hold. You will find the memorial on the north side of the Tamiami Canal. This is in the University of Florida in Gainsville. It is currently the world’s largest bat colony, housing hundreds of thousands of bats. The bats are mostly Brazilian free-tailed bats, who took up residence there after a fire destroyed their previous home in 1987. An interesting fact is that the bats consume over 2 tons of insects each night. To see the bats at their best, pick a warm calm night, when they will fly out to find insects. This theme park is found in Bay Lake. The park is divided into two sections, namely Future World, and World Showcase. The park is the third busiest theme park in North America. Look out for the geodesic sphere, and the area known as Spaceship Earth. Plan on spending a full day here, there are many places where you can eat, and plenty to see and do. This amazing place is in Key Largo and will give you a room with the ultimate view! You will need to dress in typical scuba gear to get down to your room, which is about 40 feet under the water. This is a wonderfully different experience and worth doing, just to see the sea life around you, from the comfort of your bed! You must book in advance as this is very popular. This is a memorial dedicated to the three astronauts who were killed there, in Cape Canaveral. It is now abandoned and set as a memorial. Many structures have been dismantled although the main rocket cradle is still there. Look for the commemorative plaque which will give you the names and date of the fire. You are welcome to walk around and take pictures. This history museum is found in downtown Orlando, and shows exhibits dating back to 12,000 years ago. Look for the African-American History section, as well as the Aviation area. First Contact will show you all about the first settlers, and the Natural Environment will explain about fauna and flora of Florida. Allow yourself a full day here, as there are many exhibits to see. This is to be found in Pensacola. It was one of the only forts to stay under the control of the Union throughout the Civil War. You will find the fort at the end of the long, sandy beach. It dates back to early 19th century and is now a national park. Look for the officers’ and prisoners’ quarters, as well as the mine chambers and gun rooms. You will find the canons still in place, as is the compound where ill soldiers were placed. 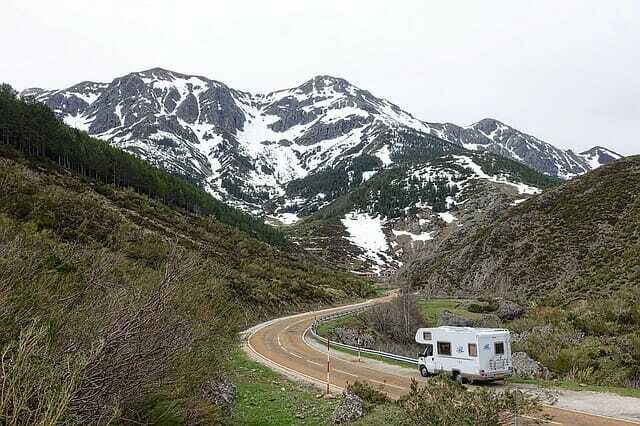 There is a campground where you can also park an RV and stay a few days. This famous boat is docked at Key Largo. The boat was immortalised in the movie ‘African Queen’ and was used by Bogart and Hepburn. It was discovered sunk in Cairo and towed back to the USA where it was refurbished. For a fee you can take the boat for short chartered cruises out into the ocean, although most tourists are content with admiring it from the dock. You will find this centre for performing arts in downtown Orlando. There is a 2,700-seat amplified hall, which you may hear called the Walt Disney Theatre. This is mostly used for Broadway plays. There is a smaller theatre seating just 300 people which is used for smaller productions. Thirdly, there is a 1,700-seat hall which you will be able to see things like ballet, orchestral performances, and operas. This hall is also used for banquets. Be sure to book in advance for any event you plan to attend. You will find this attraction in North Miami Beach. It is known as St Bernard de Clairvaux Episcopal Church and is the oldest known building in the western hemisphere. The cloisters were built in Spain between 1133 – 1141 and in 1819 they were sold to the USA for $5million. Finally, the cloisters, which had been disassembled and packed into boxes, were shipped to the USA where they were painstakingly assembled again in 1952. It took 19 months to unpack and assemble 1100 boxes, which is now a great attraction for tourists. This is found off the coast of West Palm Beach. It took a little over a week to construct and was there in case the president and his staff needed it for protection against a nuclear attack. Fortunately, the attack never happened, and the bunker fell into disrepair. In the mid 90’s it was restored to the original state and is now open to visitors. Allow a half day to see this. This theatre company is based in Orlando. Here you can see contemporary, classic and children’s plays. There are no less than four theatres seating between 70 – 324 people at any time. There is a gift shop and restaurant on site, and visitors can take a walk around the costume and props rooms. There is a delightful courtyard named the Darden Courtyard, where you can enjoy a snack. You will find this in Bay Lake. It is the 5th most visited theme park in the USA, and the 8th in the world. It is both a theme park and an active film and television production complex. Try to get to the Animation Facility Branch. There are many sections that have guided tours and also many places to eat, so this is a good place to spend a full day. If you are interested in spirits and mediums, then you should head for the town of Lake Helen as this is the town which was founded by medium George Colby in 1875. The community is open to the public every day apart from Sundays, and you will be able to have palm readings and seances at most of the homes there. There is a bookstore where you can read up on these topics and a shop selling a collection of unique gifts. This beach is found on Siesta Key. The first thing you will notice is that the sand is soft and cool underfoot. This is because it is 99% pure quartz. The beach is widely regarded as one of the most beautiful beaches anywhere in the world. Experts estimate that the sand is millions of years old, having the origin up in the Appalachians and then being washed down the rivers until reaching Siesta Key. This is perfect for families, as the waters are shallow. There is also year-round lifeguard protection, making this one of the safest beaches for small children. There is a campground and RV site so you could spend a few days here. This is the world’s largest private aircraft collection and can be found in Polk City. There are more aircraft here than in the entire Cuban Military fleet with over 100 aircraft ranging from barnstormers to giant super-fortresses. What is even more amazing is that most of the aircraft are still operational. There is no set routine, but on any good-weather day you can expect to see a plane take off and land. The owner, Kermit Weeks will be around to answer any questions you have about his collection. This exhibition is found in Orlando. It will give you an insight into the story of the Titanic as never before. There are guided tours by people dressed in period costumes, and over 100 artefacts salvaged from the ship. Look for the large piece of the hull weighing over 3 tons, and see the reproductions of the Grand Staircase, First Class cabins, and the Veranda Café among other things. Allow yourself at least a half day to look around here. This is in Orlando, and you will enjoy being able to ‘ride the movies’ in this theme park. There are many attractions as well as live shows through the day. You will see that many of the attractions are based on films, so look out for Back to the Future, Men in Black, and Jaws, to name a few. Allow yourself a full day here, especially if you are going with children. This museum and garden is in Fort Myers. It was a private retreat of the inventor Thomas Edison and his friend Henry Ford. Edison was an avid botanist, so you will find the gardens full of varieties of plants from all over the world. Look out for the roses, orchids, and bromeliads which his wife planted. Plan on spending at least a half day here. There is a café where you can get a bite to eat. This science museum is in Orlando and is dedicated to promoting and understanding science. The museum is open to the public daily apart from Christmas Day. Look for the Dino Digs on the 4th floor where you can learn about these prehistoric creatures. Also check out the Crosby Observatory on the 6th floor where you will find the largest telescope in Florida. Allow a full day to see this museum as there is plenty to see. This is located in Tampa and you may think that it is similar to Mardi Gras. It is, except that all the actors are pirates. It is a time when everyone takes to the streets wearing their best pirate outfit, and you can expect to see parades and entertainment the whole day. It is literally a festival to celebrate the undiscovered treasures of pirates. So, get your pirate clothes out and join the fun! Although this may seem to be more for adults, you will find that there is a similar event in the week before, which is more children-orientated. This is to be found in Big Pine Key. It is the only freshwater lake in the Keys. The lake is in an abandoned rock quarry which is known as the Blue Hole. Look out for the endangered Key Deer, which you will only find on Big Pine Key. Also, to be seen are tropical birds, iguanas, and reptiles. Be aware that there are snakes and the occasional alligator as well. This used to be known as Lake Buena Vista Shopping Village. It is found in Bay lake and is an outdoor dining, shopping, and entertainment complex. The complex is divided into four sections, namely The Landing, Town Centre, Marketplace, and the West Side. There are buses which will take you from one place to the next. You will find plenty of restaurants and plenty to see during the day. You will find this attraction in St Augustine. This is the narrowest street in the USA, measuring under seven feet wide. The street was designed to protect against pirates. You will notice that it is wide enough for two men to carry a chest of gold to and from the ship docked on the bay, but not wide enough to get a horse-drawn carriage through to steal the gold! Apparently, this was a huge issue back then and so the street was designed to go from the port right to the bank in safety. You will find this on Orange Blossom Trail just south of Orlando. It is a theme park and also a wildlife preserve. This is known as the ‘Alligator capital of the world’ and you can expect to see thousands of the creatures. There is an observation tower where you can view them. There are other animals, as well as a petting zoo and swamp walk. The park was used in the film Indiana Jones and the Temple of Doom. It will take you a half day to see all that is here. This tower is in Clermont. The tower was built in 1956 in what used to be an orange orchard. You can take the elevator to the top and from the observation platform you will see downtown Orlando’s skyline. The view is spectacular. Look for Walt Disney World’s Space Mountain, as well as Epcot’s SpaceShip earth. You will find this at Ponce de Leon Inlet in central Florida, just south of Daytona Beach. It is the tallest lighthouse in the state, at 175 feet high. It is also one of the tallest in the USA. Both the lighthouse and the keepers house have been restored and are open to the public seven days a week. You can climb all the way up the lighthouse, so if you intend to do this, make sure you wear sturdy shoes. At the top, look for the 1904 Barbier, Benard, et Turenne rotating third order Fresnel lens which has been restored and still works. You will find this in Key West. This is the home of over 50 different butterfly species from all around the world. Visit the conservatory where you will see beautiful waterfalls and trees, as well as free flying butterfly friendly birds such as zebra finches, and canaries. Also look out for Chinese painted quail. Kids will enjoy the learning centre where they can see live caterpillars feeding. You absolutely must not leave Florida without trying some of this pie! It quite possibly is the most delicious pie you will ever taste! Mrs Mac’s shop in Key Largo has been making the pie for 34 years using the same recipe. It’s an old-fashioned method and is still the number one best seller in the shop, so they must be doing something right! You will find the gardens in the Coconut Grove area of Biscayne Bay. The gardens are of the Italian Renaissance period with native woodland. Head for the historic village outbuildings. This is a great place to take a packed lunch and enjoy the beautiful surroundings for a while. The public park is in downtown Orlando, with the lake being the main feature of the park. The park and lake host numerous events during the year. Try to be there for 4th July when you will see the most spectacular fireworks over the water. There are many events through the year so be sure to check them out. Fiesta in the park takes place during the first full weekend on November with arts and crafts booths, entertainment, and food. This is an area rather than a single place. It is a famous downtown street in Key West and is over 1.25 miles long. At one end you will see Victorian and Bahamian mansions with eclectic art galleries and boutiques. The other end of Duval Street is where the action really takes place, with cruise ships leaving from the harbour, and souvenir shops and stalls all over the place. Nights vibrate with a carnival atmosphere, with the ‘Duval Pub Crawl’ being widely participated in by locals and tourists alike. It may be a good idea to book a hotel and stay a few days here. This is to be found in Delray Beach and were started in 1906 by a young Japanese man who came to the US with many other farmers. You can enjoy perfectly manicured gardens with a selection of fascinating wildlife. There is a café with a delicious menu, so plan on being there at lunch time. This is all an illusion, where cars look as if they are rolling uphill., You will find it in Lake Wales. Lake Wales Ridge, where the road is located is a range of sand and limestone hills. Millions of years ago they were islands. Notice that the school next door has chosen ‘Casper the friendly ghost’ as their mascot. This historic home is found on the campus of the University in Daytona Beach. It was built in the mid 1900’s and was fir home of the African-American teacher and civil rights leader, Mary McLeod Bethune. The house is very typical of that period although there was an addition added in 1953. You will find this across the road from the Washington Oaks State Park, in Palm Coast. It is a secret rocky area which seems to be hidden among the white beaches. The Rocks are not visible all the time, in fact it depends on the weather and the tides. When they are visible, the rock pools are alive with creatures such as starfish. This is the perfect time to take kids and let them learn about the sea creatures. This park is about 68 miles west of Key West. It is most well-known for the abundance of sea life, tropical birds which breed there, and colourful reefs. The coral reefs are the least disturbed of all the reefs in Florida. Legends abound of sunken ships and treasure, and you will see the unfinished fortress called Fort Jefferson. The park is accessible by seaplane or boat, which you can take on the mainland. Snorkelling trips are also arranged there, as well as birdwatching, kayaking, and fishing trips. You will find this island off Homosassa. It is a refuge for hundreds of monkeys. You will see small huts especially built for the monkeys, who are left to live safely and play freely on their own island. The island has been in existence for 40 years, and visitors find delight in watching the monkeys and their antics from a distance where they are safe. This marketplace is found in downtown Miami. If you enjoy shopping, eating, or just people watching, then this is the place to be. With indoor and outdoor shops and stalls, and plenty of restaurants, you should plan on spending a full day here. There are often performances by bands, and there are several hotels where you could stay a few days and enjoy the local cuisine. This is a world-class collection of ceramic art and glass, featuring the finest European and British porcelain from the last two centuries. Look out for pieces by Wedgewood, Royal Doulton, and Lladro, to name a few. The galleries are themed, so you can enjoy each area in its entirety, before moving into the next section. Allow a half day here. This is in Orlando, and forms part of SeaWorld Parks and Resorts Orlando. This is the 10th most visited park in the USA. Head for the Shark Encounter Exhibit and pay a visit to the Sharks Underwater Grill! Other sections to see are the Sea Garden, which is landscaped from rubbish which has been found on the beaches. For children, head to the Sea of Fun, where they will find Shamu the Orca. Allow a full day here, especially if you are taking children. This is found in Miami. It is a perfect circle of holes which date back to prehistoric times. The holes were discovered in a routing archaeological dig, with further investigation revealing the largest 24 holes being in a perfect circle. It is thought that the site was occupied by Tequesta Indians. Among tools and artefacts which were excavated, animal bones and axe heads were found. Of course, there are theories about the holes being made by Aliens. Whatever you choose to believe, they are worth speculating over. This garden covers over 170 acres featuring over 1000 species. You will find them in Naples. They were founded in 1993 and are mostly represented by collections of flora of the tropics. Look for the Children’s Garden, the Brazilian Garden, LaGrippe Orchid Garden, and the Water Garden, to mention a few. There is a delightful café called Fogg Café where you can get lunch or refreshments. This is the southernmost point in the USA, and you will find a monument here with the details about this. The monument is easily found as it looks like a buoy surfacing from a coral reef. Technically Hawaii is further south than this point, so you will hear this disputed in every bar. That being said, it is a delightful area to wander around in. You will find many interesting shops and local cafes where you while away a few hours on a sunny afternoon. There are in Orlando and are some of the most beautiful semi-tropical gardens in the state. You will find over 50 acres of landscaped grounds, lakes, and trails where you can walk or cycle. Look out for the 200-year old oaks, as well as the maze of Camellias. This is a great place to take a picnic lunch, walk for a bit, and stop to eat. This theme park is in Bay Lake, near Orlando. This was the first theme park to open in the area. This park is dedicated to Disney characters and fairy tales, so you can imagine that it is very popular with children of all ages. Look for the Cinderella castle, which was inspired by the movie from 1950. You can expect to meet most of the characters you knew as a child, and even some that you never knew. It is a happy place, and your kids will want to spend the full day there. You will find this attraction in Key West. It is the oldest bar in Florida. Before it became a bar it was a morgue, and you will find the hanging tree as well as several gravestones. The hanging tree is now a centre piece in the bar area, where it hung at least 75 people in years gone by. Not only was the bar a morgue, at other times it was a Post Office, a bordello, and a cigar factory. This may not be suitable for young children, but there are plenty of stories about people who were hanged there. The tower is one of the highest points in Florida, and you will find this in lake Wales. If you enjoy walking, then look for the Pine Ridge Trail. There is a contemplative garden and a bird sanctuary here, making this a delightfully peaceful place to spend a few hours. This is a park with a difference. You will find it at Homosassa. You will be able to meet manatees without even getting wet. Not only that, but you can also see educational programmes on alligators, local snakes, and others. Look for the homes of foxes, bobcats, cougars, river otters, and black bears to name a few. The park is more of a nature reserve than a zoo, with the animals being in their natural habitats. You get to take the guided tour on either bus or tram through the park, with a boat ride through the water section, so it is a good idea to allow a full day for this. This is found in Fort Lauderdale. You will immediately be reminded of the Pacific, and that is the selling point here. Dancers and flamethrowers are to be expected at the nightly performances. The dinners are simple yet unique, with both waitstaff and bartenders dressed very scantily. There are eight dining rooms, each having its own theme and is a bit like stepping into another world. This museum is found in Sarasota and is the work of John and Mabel Ringling. It was built in 1927 for the people of Florida. There are over 21 galleries containing collections of European paintings and antiquities. The art collection houses over 10,000 items of paintings, sculptures, prints, and photographs. Look for the 16th century paintings from famous artists like Benjamin West, and Marcel Duchamp, to name a few. This will take you most of the day to look around. You will find this botanical garden in Ocala, and if you enjoy walking then you should head here. The park has several paved trails of around 2 miles long, taking you through over 250 species of plants and trees. Look for the formal rose garden, the prairie area, and the olive trees. Also check out the azaleas and the pond with koi in it. A point to note here is that this park is handicap accessible. You will find this in Key West. It was the original offices of American International Flight Service. However, it has since been transformed into a well-known brewery owned by Top Gun star Kelly McGillis. Pam Am was the largest airline in the USA until it collapsed in 1991. Its goal was to provide mass transportation to the public at a rate they could afford. The place has a bar and restaurant which are very popular. A point here is that this is the only microbrewery in Key West. You will find this in St Petersburg. The gardens are below sea level, and are a delight to the senses, being filled with paths, waterfalls, and ponds. The gardens are relatively small at just 4 acres, but the winding paths give you the illusion that it is far larger. Look for the Cactus Garden, and interesting courtyards. You may also see tortoises, as well as pink flamingos who gather there. The ponds are home to many koi fish. Hours vary because of the weather conditions so check before you go. This amazing tree is found in Jacksonville and believed to be over 250 years old. It is a Live Oak with many limbs, and a wide circumference. The tree was almost pulled down by developers, although it was saved when a local reporter met with the Garden Club to fabricate the story about an accord being signed beneath the tree. Since then the tree has gained historic recognition and is protected. Thus, the tree was saved. If you ask the locals, you will no doubt learn the truth about the impressive tree. You may also hear this called Henry Watterson Cottage, and it is located in Naples. The cottage is literally filled with antiques and maintained by the Historical Society. It is a rare example of tabby mortar construction. It is also the oldest house in Naples, dating back to 1895. Next to the house you can visit the Norris gardens where there are five themed areas to wander through. This is found in Titusville. This was the site of a water burial ground which was apparently used to preserve corpses for millennia. The pond is quite small and is now known as Windover Archaeological Site. It is estimated to date back to 9,000 BCE. The site was discovered by a construction worker who found that he was digging up skulls. A total of 168 bodies have been exhumed so far. If you are interested in archaeology, then this should be on your list of things to do. If you are a fan of go carts, then head out here. You will find it in Orlando. There are no less than four go cart tracks, along with three roller coasters. For families, head to the Sea Serpent, while the more adventurous may enjoy the wooden coaster named White Lightning. There is also a suspended roller coaster named Freedom Flyer. Allow yourself a full day here, there are places where you can get lunch and drinks. This unusual attraction is found in St. Augustine. This Spanish Fort is constructed entirely of sea shells. The fort was built from coquina, which is a soft stone that is found on the beaches there. This consists of crushed and broken seashells which have, over the years, been compressed by the water. This is easily cut from the sand and when laid out to dry, it sets similarly to cement. The Fort was built to warn against enemy coming to attack St Augustine. Today it is a tourist attraction. The Fort is only accessible by boat which you can join on the mainland. It is on its own small island, and while it will not take long to see, it is worth looking at. You will find this monument in Kissimmee. It is a dedication to the attack on Pearl Harbour. Rocks and fossils were collected from every state in the US and built into a pyramid. The monument rises up over 50 feet and weighs over 100,000 pounds. You will notice plaques from all 48 states, as well as from several foreign countries. This Post Office is literally no larger than a broom closet, and you will find it in Ochopee. It is the smallest Post Office in the USA, having space for only one employee at a time. The Post Office has been serving people since 1953 when the larger one, which was inside a general store, was burned down. The general store was never rebuilt, and the storage closet was commandeered as the Post Office. Surprisingly, the Post Office is used by people from a radius of 130 miles. This will not take you too long to see, but worth posting a postcard from the smallest Post Office you will find! You will find this point in DeFuniak Springs. It is not only the highest point in Florida, but also the lowest high point in the USA. While there is nothing else to see apart from this, it is worth stopping as you travel by RV between points. You will see the marker in the centre of a round-a-bout. The views are great and varied, and it makes a good setting for a picture before you drive on. These archaeological mounds are found in Tallahassee, in the State Park. This find is one of the richest in artefacts and history. The site dates back to 1000 and 1500 BCE, with tribes such as the Apalachee, Creek, Cherokee, and Choctaw being the first people to live there. You will find foundations of ancient villages, temple mounds, and burial grounds in the dig. There are two remaining mounds for visitors to look at, with an observation platform at the tops. There are also several walking trails, and a very nice picnic area with information kiosks. Look for this in Key West. This house acted as a getaway home for President Truman. It became known as the ‘Little White House’. Truman loved the balmy tropics and set up his second home there, as well as creating a naval base close by. The house is now a museum, with many of the original fixtures in place. Allow yourself a half day to see this, although you may want to spend extra time and explore the area. You will find this in Carrabelle. It is not much larger than a telephone box. The station was built in 1963 and featured on Ripley’s ‘Believe it or not’ Show. Occasionally over the years the station has been vandalised, but it has a special place for the people of Carrabelle, who keep it neat and tidy. You will find this 140-year old lighthouse four miles offshore from Islamorada. The lighthouse is in fact a marker for the spot where a navy ship was wrecked many years before. The reef is now a teeming home for 500 marine species, and the lighthouse still stands as a reminder. This is a very popular place for divers and snorkelers who wish to see the marine life. You can expect to see spiny lobsters, parrotfish, barracuda, and an abundance of coral. You should also be able to find the wreck of the USS Alligator. For those adrenalin junkies, you should head to Zephyr Hills and make a skydive! Make sure you have a video made of your jump. There is a place where you can park an RV and stay a few days, so if you are an experience skydiver, then head down there. Never again show your friends and family boring holiday videos! If you visit Florida, you must try Denny’s! Breakfast is served all day, and they guarantee that you will not leave hungry. You will find a Denny’s Restaurant in most towns and cities, as there are over 1,600 in the USA. The restaurant does not close on any holidays unless it is required by law, so you can be sure of getting a meal whatever time you like. Make sure you check for new menu items and special offers. Whether you enjoy walking and hiking, or visiting theme parks and art galleries, you will find that the State of Florida has something for every tourist, no matter what age you are.